My latest handmade Photoshop Brush Collection is NOW AVAILABLE! Take a trip back in time with this retro theme park inspired Photoshop brush collection! Every single brush in this collection was handcrafted with real scanned-in textures (Watercolor Pencils, Pearlized Watercolor, and Willow Charcoal Textures). These texture brushes and stampers will quickly take your illustrations to the next level. The hand lettered Carousel cover and horse illustrations were created using ONLY the handmade Photoshop brushes in this collection! 4 liners/detailers + 1 simple sketch brush for sketching, outlining, and final touches. 9 texture stamper brushes that add depth to your work! 10 textured brushes perfect for shadows, accents, shading, and more! 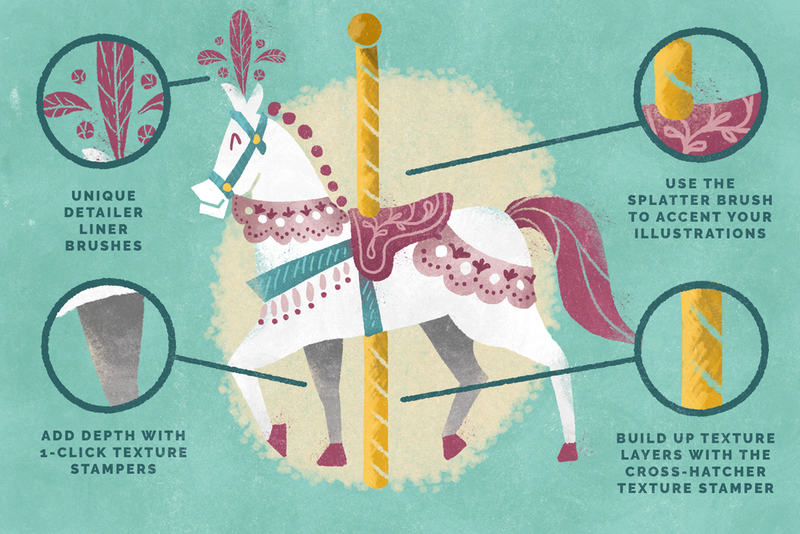 Carousel Horse Illustration by Lauren Hodges. Illustrated entirely with the Carousel Photoshop Brush Collection. Try before you buy! 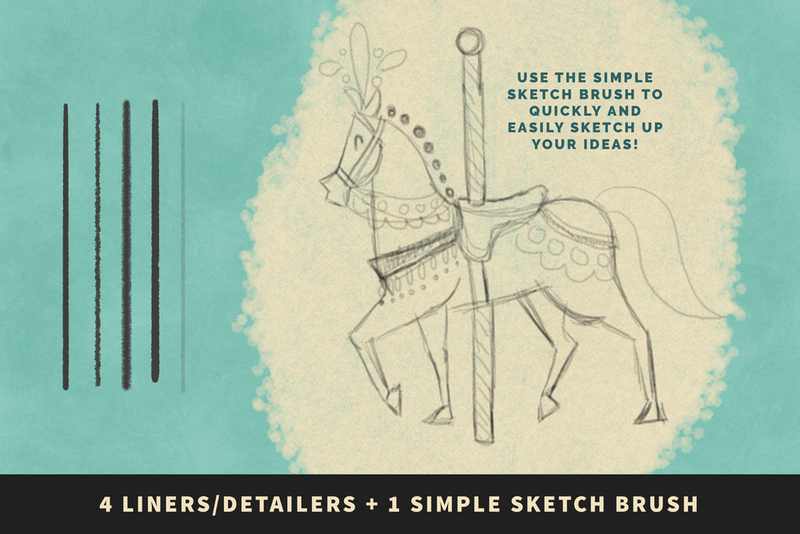 Download a FREE sample brush from my Carousel Photoshop Brush Collection. You'll love the rich texture and detail with the Extra Rough Dry Watercolor Pencil Sample Brush!